We completed our Drinking Around the World adventure with stops in each of the 11 permanent countries around the world showcase. Now, lets talk about a few different special events that can change the way we drink around the world. Every year Disney hosts the Epcot International Food & Wine Festival in the fall. An additional 35+ booths are set up around the world showcase for some different countries to display the food and drink of their homeland. With that many booths, a Drinking Around the World: F&W edition isn’t really possibly (or smart!) unless you have an extended stay or are lucky enough to live close to Walt Disney World. There are far too many amazing drinks to name at the festival, but one “booth” of note is the Craft Beer Marketplace. Located inside the Odyssey Center there is plenty of space for relaxing in the air conditioning while trying craft beers from around the country. The most popular items at the Craft Beer Marketplace are the flights, each with 4 separate tasting sizes of beer allowing you to try more without buying full cups! Pretty smart. One thing that may make drinking around the world easier during Food & Wine is the new for 2015 Food and Wine Tasting Sampler. If you purchase this package you’ll receive 8 credits for a snack or beverage of your choice during food and wine. This package also comes with priority seating for an Eat to the Beat concert during the day you purchase. For $59 per person plus tax that’s not a bad deal! The Epcot International Flower & Garden festival is gaining on the Food & Wine Festival in terms of popularity! Hosted in the spring, there are 12+ booths featuring fresh food straight from the garden during this festival. From wine to sparking ciders, beer and more, there is plenty to drink at this festival as well. One drink that we here at Dole Whipped agrees will stand above the rest is The Dole Whip with rum (of course)! Available at the Pineapple Promenade booth there is an option to add macadamia nut flavored or coconut flavored rum floaters to your pineapple soft serve. Yum! One thing available at this festival (and also the Food & Wine) that makes drinking around the world a little easier on your budget is the wearable wristband gift card. If you load the card with the amount you’re able to spend on drinks you’ll keep yourself in check, and since you can wear it on your wrist you won’t have to dig around in your pockets for cash or credit cards either! It’s a win win. Which event would you rather Drink Around the World at, Food & Wine or Flower & Garden? 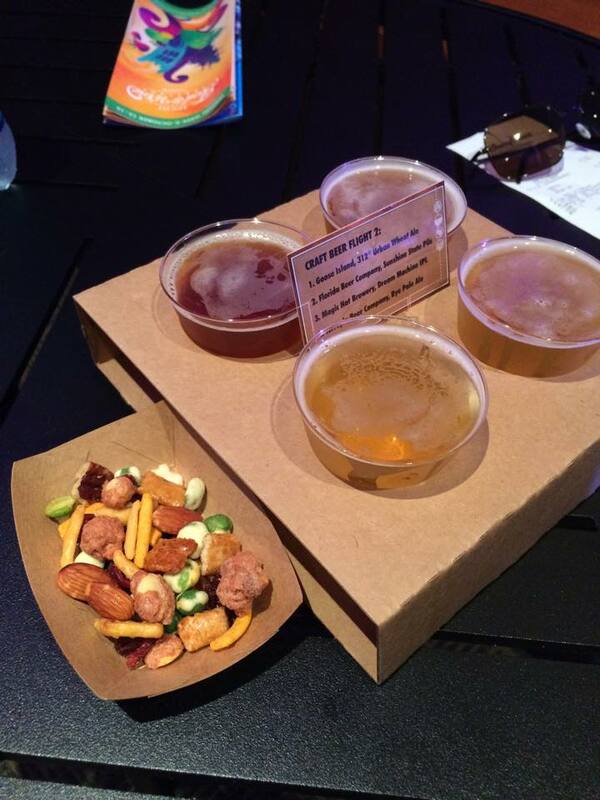 This entry was posted in Disney World and tagged beer, Disney World, dole whip, drinking around the world, Epcot, Flower and Garden, food and wine, special events, wine by Jamie. Bookmark the permalink.